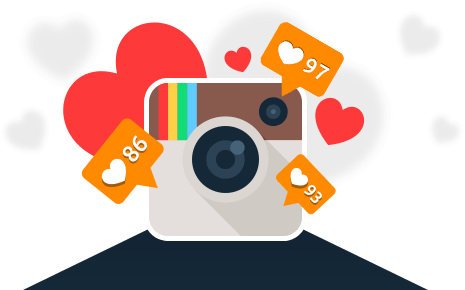 Instagram is one of the fastest growing social media networks, in this article we will show you how to dominate Instagram and head on the road to gaining your first 1000 followers in just a few days. I am guessing you are reading this article because you want to grow your Instagram account adding thousands of followers to your business or personal account absolutely FREE of charge. This article sets out to help you grow your following on Instagram without using “spammy” tactics or buying fake followers and gain new followers each and every day consistently. Why should I care about growing my Instagram account? - Gain a huge following & fan-base on your account. - This will mean more traffic to your website. - Which could mean more sales and conversions for you. - It could also mean free sign ups or subscribers. - Most importantly it sets you out as a person of authority within your target market/industry. I hope you can see from the above why Instagram marketing can be so beneficial. Now let’s take a look at the top 3 strategies that this article is based around which will help you dominate Instagram. Each of these methods aren’t mutually exclusive to one another, so if you implement all three you’ll be setting yourself up for success. Strategy #1 – Follow, Follow, Follow! This strategy is perfect for people who have less than 1000 followers, this includes newly created accounts or accounts that have been sitting dormant for a while with only a few followers. This strategy is based around the concept of “Reciprocity” this is a well know psychological phenomena where the basic idea is that “if you want something, you need to go first”. Many companies, organisations, blogs and websites give away freebies in the forms of prizes, downloads and content etc. These freebies aren’t really FREE though, they are given out with the intent that one day that person will pay back into the system via subscribing, becoming a paying client, handing over personal data or giving something back of value. So how we can convert that and relate it to this article and topic of gaining Instagram followers, the idea is that if we follow first general psychology says that most people will feel obliged to follow back. “WAIT ONE MINUTE!” I hear you cry. This post hasn’t lead you here to just tell you to spam follow people. NO! There is a method to the madness, trust me! Instead we’re going to follow people within your industry or your chosen niche. You can do this by searching for relevant keywords within your industry by typing them into the Instagram search bar. You can only follow up to 100 people per hour, if you go over this your account may be restricted or limited so take your time. Weigh up each of the people you’re going to follow, are they in the right age bracket, are they active, are they likely to purchase from you in the future? By doing this selective following it will increase your conversion rates when it comes time to start marketing your product or services. It may take time and it may be tempting to just get a bot to do the work for you, don’t do this, trust me the hard work and dedication will pay off when you look at your conversion rates. It may be boring but it will be worthwhile, do your following when on the bus, in the car, on the way to the shop or while you’re doing the washing etc. The hard work will be well rewarded when you see the results much later on. A quick way to get started and find followers in your target market is to find 5 accounts that are similar to yours with a large following, go onto that accounts followers and begin to look through their followers and follow them. On average between 20-30% of the people you follow should follow you back. As a bonus, this strategy can also work with Twitter so if you have time feel free to replicate this on your twitter account. Now before you start this strategy or any of my other strategies, please ensure that you have completed your Instagram profile & bio and that you have at least 10 posts on your profile. If you do this, you will find that your conversion rate is much better when you come to market and when trying to get people to follow you back. This strategy is brilliant combined with the first but can equally gain you knew followers in your own right. Some people hate to have a huge number of people they are following and less followers and some hate to have to go through unfollowing people to balance these numbers out. Engaging with others on the content they create and post on Instagram is a sure fire way to get you a follow. People love to be praised, feel good and have people comment on their stuff. We’re all a little vain like this! Again, it comes down to basic human psychology. Just like we suggested above we’re going to ask you to find the top 5 Instagram accounts similar to your own, fine their followers and then go onto their accounts and post on their content, like their content and leave a message of encouragement and or support. This strategy works extremely well if you like and comment on the content of new Instagram users, you can do this via searching for tags relevant to your niche in the Instagram search bar and filtering by the most recent posts. Look for the new users, like and comment on their content. Following this method, you’ll receive a much higher rate of followers back. Again there are bots and automated programmes out there that do this for you but why risk getting your account banned? Not only that you can be more selective over the accounts you choose to follow and in return see much higher rates of conversions. The final thing to note about this method is not to try it on VERY large accounts as the chances of gaining a new follow are slim to none. This strategy focuses on the power and correct usage of hashtags. Adding hashtags to your photos is a brilliant way of finding new followers and sharing your photos with more people. A hashtag ultimately helps organise and categorise images and videos on Instagram and helps the Instagram search algorithm understand what an image or video is about. I always recommend that you use all 30 of your hashtags, don’t worry about it looking spammy as normal users tend to stop reading past the normal text and don’t read each hashtag. Using all of your hashtags will ensure that you reach as many people are you possibly can within your target audience. Make sure your hashtags are relevant this will drive high quality, targeted traffic towards your Instagram content. There’s this general misconception within social media marketing, that you have to be targeting the most popular hashtags to get as many likes and follows as possible. This isn’t necessarily true, as I explained in previous sections, if you want high quality conversations then it’s much better to target hashtags that are relevant to your industry/niche. Posting just highly popular hastags doesn’t always work out well anyway, your post will be seen for a matter of seconds as thousands of people will be posting images via the most popular hashtags so it won’t be long before your content gets buried and as a result you’re no better off than you were before. - Use the image description box on Instagram, start typing and you will see dozens of relevant or related hashtags popup, utilise and use these suggestions! To make their posts look less “spammy” some users prefer to add their Instagram hashtags into their first comment on their photo/video as opposed to in their photo/video description/caption. This all boils down to personal preference but some people have noted you get increased followers and success by adding the hashtags into the first comment rather than the caption area for your photo. If you utilise any of these methods or even better still all of them, you’ll be on your way to thousands of followers on Instagram. It’s not easy, then again nothing ever is. Work hard and stick at it and I assure you that your hard work will pay off. I hope you have been able to take away something useful from this article, if you have any questions or comments, don’t forget to leave them in the discussion section at the bottom of this page. I wish you ever success in the future growing your Instagram account. HelloLocal - Author - Thanks for this great article!